superstars who are real couples in their real life. John Cena and Nikki Bella were used to be the iconic couple in the WWE universe but 2 days ago, they announced their separation on social media. The fans were pretty disappointed by this news. Today, in this article you will get to know the World Wrestling Entertainment superstars who are life partners in real life. Stephanie McMahon is the American businesswoman, professional wrestler and the current Chief brand officer of World Wrestling Entertainment. She is the daughter of founder and chairperson of World Wrestling Entertainment, Inc, Mr. Vince McMahon. Triple H and Stephanie McMahon got marrried in 2003 and have three children. There's only one more couple in WWE today more tenured or prevalent than the Mizanins. Mike and Maryse made it official during a ceremony in The Bahamas back in 2014. Maryse no longer wrestles, but she and her hubby are arguably the most effective team in WWE today. The WWE superstar Miz” Mizanin and wife Maryse welcomed their first child, daughter Monroe Sky, recently. 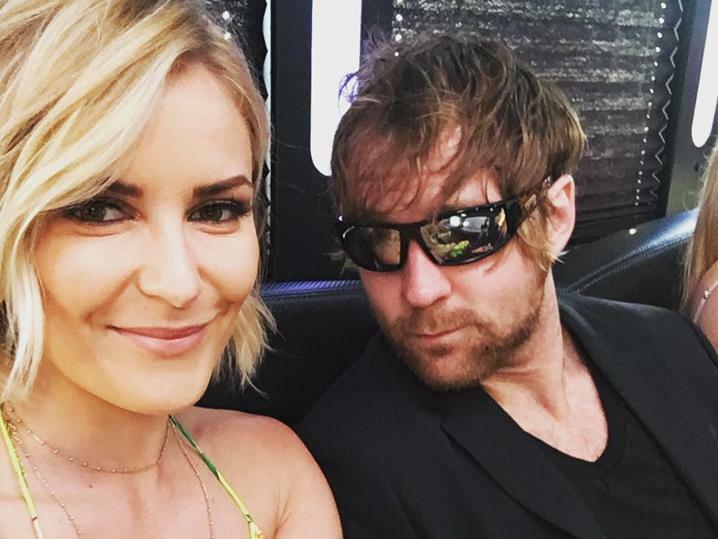 It was revealed that WWE superstar Dean Ambrose and Canadian actress Renee Young got married in secret as there were no announcements, and there was no big wedding ceremony. They just decided to tie the knot shortly before the Superstar Shakeup, but you cannot hide this news and eventually, it came out. Brie Bella is the sister of Nikki Bella, who just broke up with John Cena. An identical twin sister walked down the aisle way back in 2014. Currently, the both are not active on WWE's roster. If you may have heard, Bryan was not able to reach the company's required medical criteria. Bryan announced his retirement due to his medical reasons via Twitter. Currently, he is a former SmackDown's General Manager. We haven't since the Kanellises together on WWE screens since Maria announced her pregnancy. Last year, Maria Kanellis-Bennett announced on Instagram that she's pregnant. She wrote that she's 13 weeks pregnant, noting that "life is what happens when you are making other plans" because they thought they had put their plans to have a baby on hold earlier this year.